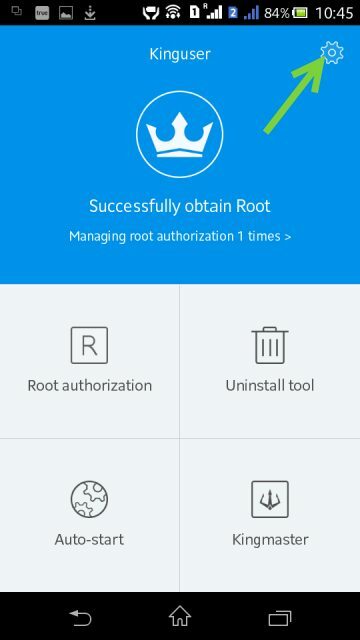 Kingoroot the most popular one click root tool helps millions to root their android phones without any harass. After rooting their phones some people might want to remove root from their phones because of any security problems. But, what will we do if we want to unroot our rooted android phones. Thanks to this simple guide for completely remove root access from phones. These are the instructions that will help you to remove the Kingroot Application from your phone (if in case you want to unroot your android device). 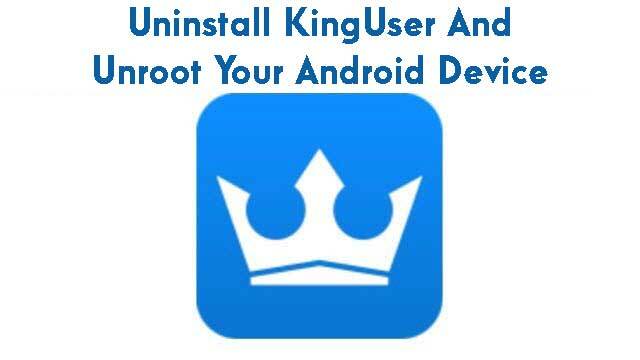 WARNING: Uninstalling KingUser app will remove root access from your device and you won’t be able to use Android applications which requires root permissions. So, beware of it before getting started with the procedure given below. 1) Your device should be rooted with the Kingroot Application to follow the below tutorial. 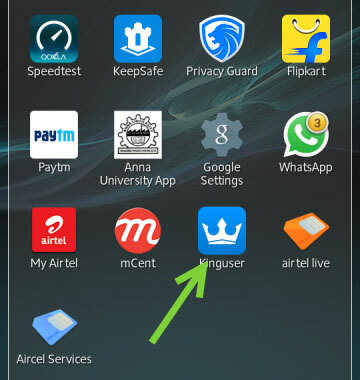 2) The procedure for removing KingUser given here will work only on Android devices which has used KingRoot for rooting. Since, we haven’t tried this on devices which has been rooted using other rooting apps, we can’t guarantee whether this tutorial will help to remove KingUser. 3) Make sure that you have uninstalled the KingRoot application, which you have used for rooting your device. Also, ensure that your device has a decent battery backup in it before getting started with this uninstallation procedure. Once you have finished the prerequisites given above, you can go ahead and get started with the procedure given below. Step 1) To get started, go to your Apps menu, click on the KingUser app icon and open it up. Step 2) Once the app is launched, click on the “Settings” icon in the top right-hand corner of the screen to launch KingUser settings. 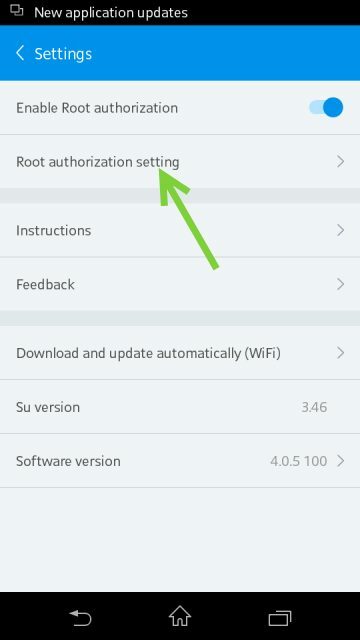 Step 3) Now, in the KingUser general settings screen, click on “Root Authorization Setting” to launch up the settings screen. 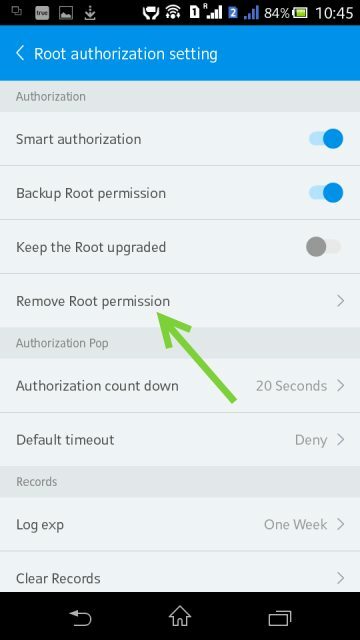 Step 4) In the “Root Authorization Setting” click on “Remove Root Permission” option. 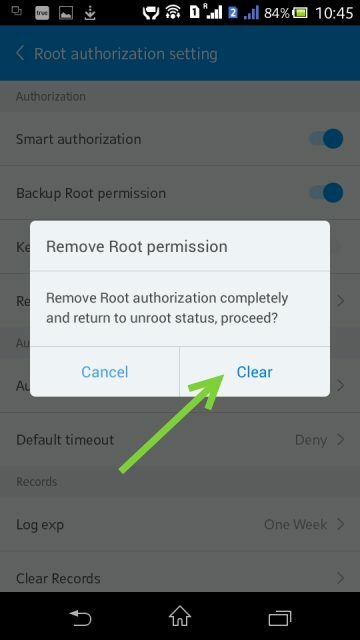 Step 5) Now, a prompt will show up with the message “Remove Root Authorization completely and return to Unroot status, Proceed?“. Click on “Clear” to begin the “Remove Root Permission” process. 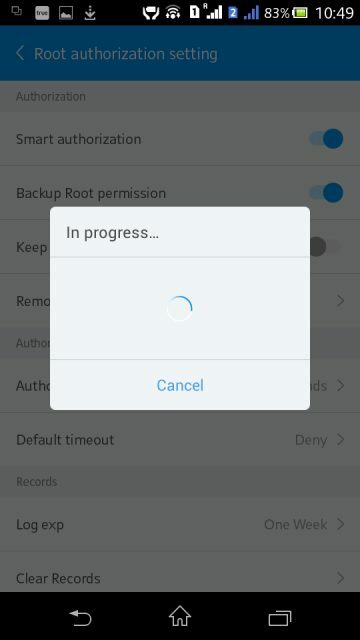 Step 6) Once you click on “Clear“, you will see the “In Progress” message along with a progress circle as shown in the screenshot below. Once the progress prompt gets closed, the uninstall process of KingUser will be successfully finished. Also, you have successfully unrooted or removed root access from your Android smartphone or tablet. Now, you can use the Root Checker app to confirm the unrooting process. Instead of completely removing Kinguser, if you would like to replace it with SuperSU app, follow our guide to replace Kinguser with SuperSU. [*] The above tutorial only helps you to remove the Kinguser application (which provides the root access on your phone). [*] Replace KingUser with SuperSU: Now, you can replace the KingUser and other chinese application with SuperSU (chainfire). To replace follow how to replace KingUser with SuperSU. [*] If in case you haven’t tried Kingroot App to root your Android device, then you can download the Kingroot App and follow the tutorial how to use Kingroot.